There's a polyester mullet skirt gracing a derrière near you. It's short at the front, long at the back, and it's also known as the hi-lo skirt. Like fads that preceded it, the mullet skirt has a short fashion life, and although it will remain potentially wearable for years, it's likely to soon be heading to the charity shop or to landfill. The mullet skirt may not last more than a couple of months as a fad, but the fast-fashion trend has shown considerably more longevity. With Spanish brand Zara compressing lead times to as little as 13 days, and the UK's Topshop releasing 300 new styles a week, fashion trends are being captured and sold far quicker than ever before. In Australia, although Zara and Topshop only arrived in 2011, many local retailers have been following an accelerated fashion cycle since the early 2000s. Valleygirl releases 65 new styles per week, Supre has daily deliveries, and the mid-market Witchery boasts 400 new styles per month. Fast fashion has enabled a democratic engagement with the luxury of constant novelty, once only the domain of the very wealthy. Now high fashion trends are instantly accessible online, and the physical garments are for sale at prices which have never been lower. However, the garment's price tag does not acknowledge the environmental and social cost of overconsumption. In the UK, some 30 kilograms of textile products, per person, per year go to landfill. What isn't sent to landfill goes to charity. A single Smith Family sorting centre in New South Wales sorts 10000 tonnes of donated clothing each year. Much of this will be sent to developing countries, a trade that can be disruptive to local textile industries. The two most popular fibres for fashion apparel - cotton and polyester - each have considerable ecological impacts in production. Conventional cotton alone accounts for one quarter of global pesticide use, linked to poisonings and air and groundwater contamination. In addition, cotton requires a global average of 11,000 litres of water per kilogram, to produce. With a world population of seven billion, and a projected nine billion by 2050, food security and water security will become increasingly pressing policy concerns. The volatility of cotton prices in 2010/11 is possibly a foretaste of this, with cotton prices rising to their highest level in the history of the New York Stock Exchange. 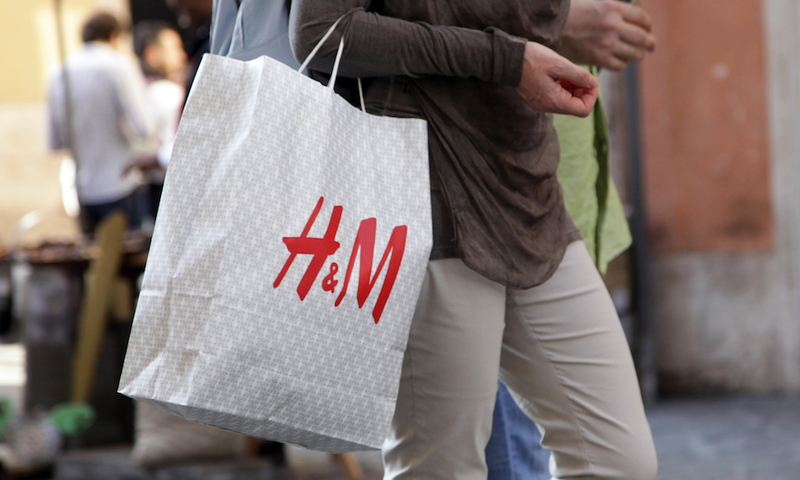 Australian fast-fashion retailers face additional short-term challenges. 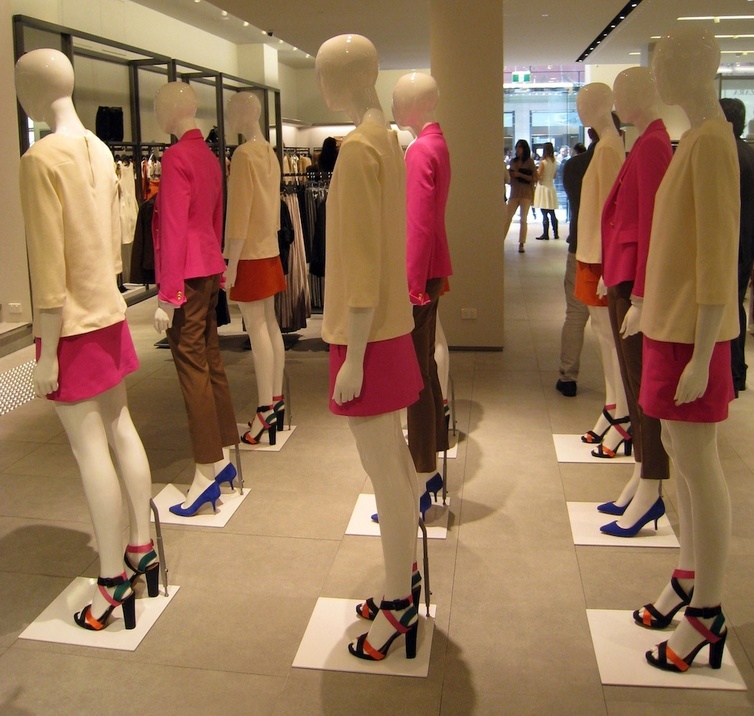 In 2011, bricks-and-mortar retail was at its lowest ebb in Australia since 1962, and across the fast fashion market, clothing was reduced up to 70%. Local labels are affected by the rising fibre prices (not only cotton but polyester of cotton quality) and rising Chinese manufacturing costs. The forthcoming carbon price may also lead to rises in the cost of freight and raw materials. In addition, a greater number of consumers are choosing to buy clothing online from cheaper overseas e-tailers. Crucially, fast fashion is not merely fast material throughput of garments, but a sophisticated global image and information system which, to some degree, is weightless. As fashion is intangible, it is not necessarily tethered to the purchase of new clothing. An example is The Uniform Project, in which blogger Sheena Matheiken wore the same dress for a year, styled in 365 different ways. With this perspective, a fast-fashion company's role may evolve into that of a service provider, not simply a retailer. These services may include styling advice, alterations, clothing libraries or collection of the garment at end-of-life. In Australia, Supre and Sportsgirl have followed the lead of Topshop and American Apparel in offering a small selection of vintage clothing alongside their new stock. There is no contradiction in fast-fashion retailers selling second-hand clothing, as the speed of trends mean that styles come in and out of fashion so frequently that some version of "vintage" style is always in style. Within the context of fast fashion as 'post-brand', second-hand styles simply become additional grist for the mill, as consumers will mix and remix the product (of whatever provenance) in their personal, restless search for novelty and individuality. Fast-fashion principles also drive the success of online marketplaces such as eBay, in which second-hand clothing can be circulated again and again, revalourised by individual consumers. Similarly, the Salvos charity stores in Australia and Oxfam in the UK, now sell second-hand fashion online, grouped into 'lookbooks', complete with fashion shoots. While the Rococo excess of a new frock a week may be unsustainable, a different fast fashion - one that relies less on overconsumption of new garments and more on the inventive reuse of existing materials - can emerge.